We understand that financial burdens may hinder some families from sending their child to Summer Camp. 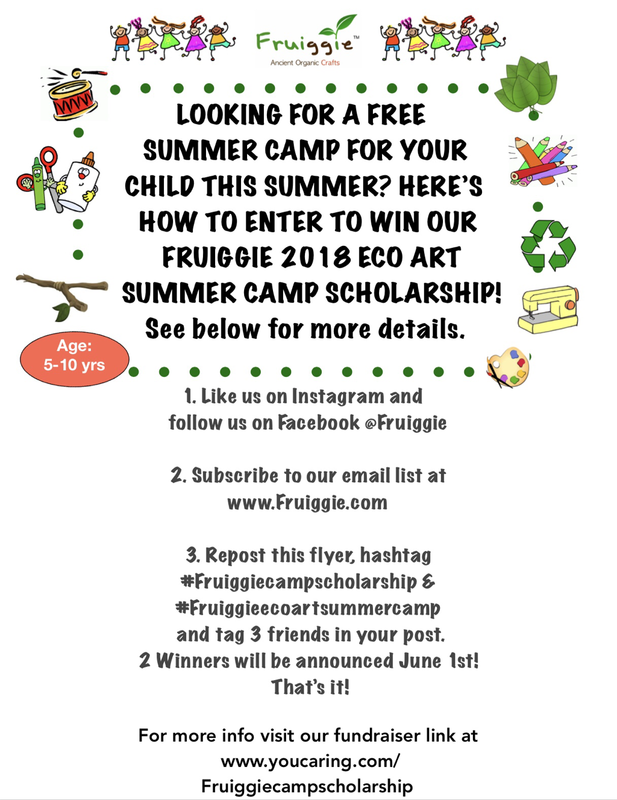 So we are happy to announce that Fruiggie is raising funds to provide two students with a full 8 week scholarship for a chance to experience our amazing Eco Art Camp for FREE!! See flyer above on how to apply.